PetStuff is a full-service veterinary clinic providing medical and surgical care since 2007. 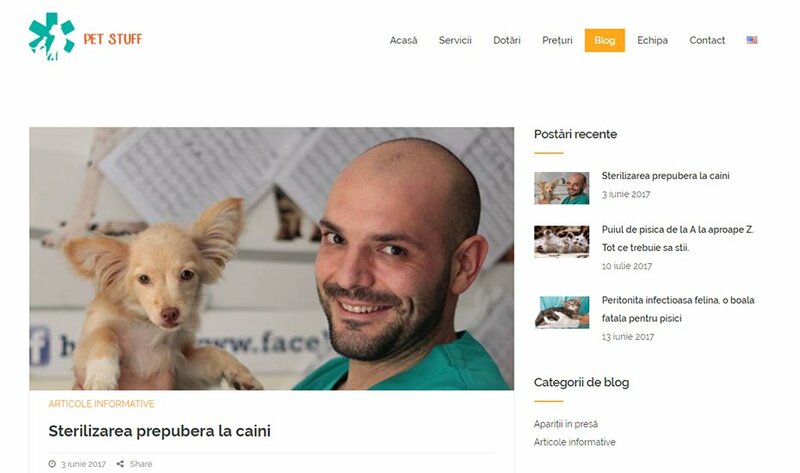 The objectives were to redesign the old website that was cluttered, having an inefficient navigation and a lot of ads that distracted users from finding relevant information. Our solution displays clear and concise content and a systematic way to emphasizes their main services. 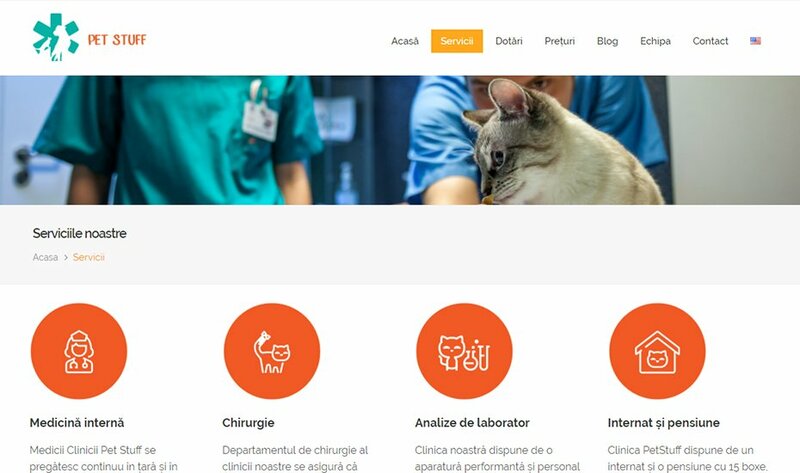 Another approach was to bring forward their strengths, the service diversity and also the latest veterinary medical equipment that this practice has. 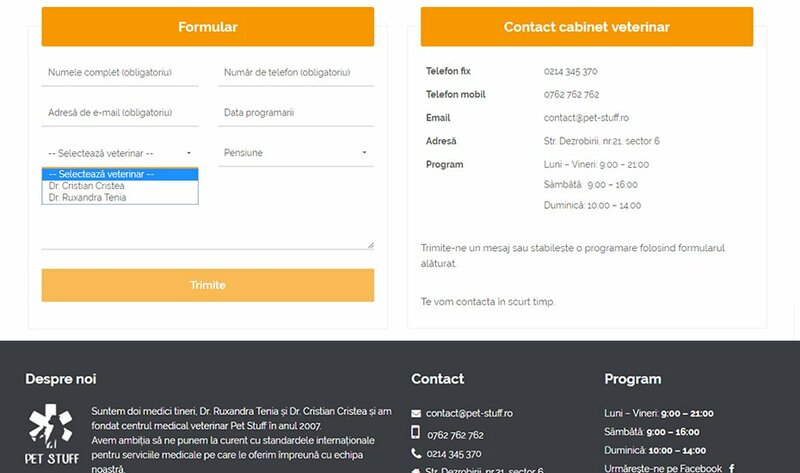 Apart from selecting the relevant content we also got the request to make the website multilingual, to offer users the possibility to make online appointments as well as making the team section administrable so the staff could remove, edit or add new team members. 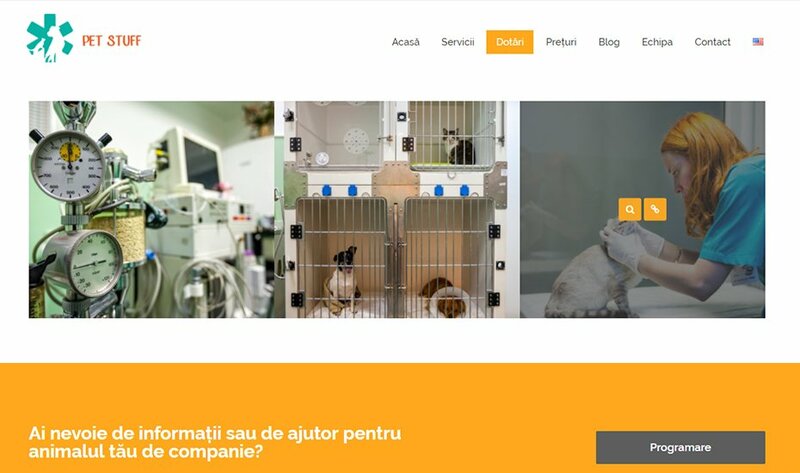 Pet stuff offers a large number of sub services that needed to be made easy for users to understand. In order to do that we made a clear distinction between main services and other secondary services. Finding a way to present price lists in a simply, not overwhelming way. Online appointments. Almost every page has a call to action section that guides users into making an appointment. Website guide. We provided a easy to use manual that helps to make content changes, adding or removing team members and creating new blog posts. Easy to update project content. The staff requested the possibility to update content so we provided a fast and easy way to quickly edit content on every page.